Well, this book is quite interesting and a very different than so many than I read. Although I don’t care for the subtext on the cover, I do believe that the underlying content of this book can be life changing and the wisdom has certainly helped me a tremendous amount in my life. Ultimately this book is all about behavioral styles, specifically, the DiSC model that is often hard for people to learn, remember and apply. I am fortunately to have learned and applied DiSC from Manager-Tools many years ago and I’ve used it heavily in my career and life to work with others much more easily and understand them. So, while I can’t say I learned much new ideas behind these styles in this book, I can say that this book teaches them VERY well, demonstrates through excellent examples and uses stories to teach the content, which is going to be a very good way to learn them for many people. A bird of action, that is quick to take charge, look at the big picture and be in control of any situation, no matter what the circumstances. An often excited, forever optimistic and easily distracted bird that enjoys story telling, simply enjoying flight and to socialize with other birds. A peaceful and kind bird that cares about others and wants to see everyone getting along. Dove’s don’t like to be in the spotlight themselves, but love to bring out the best of a whole team. A super logic bird that will take the time to think, reflect and decide what to do, only after considering all options and having all the information at their wingtips. Rosenberg includes 22 separate stories with the birds learning and realizing various lessons about understanding and working better with one another. 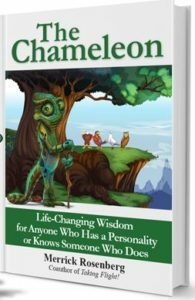 Throughout these fables, the Chameleon character reminds me a bit of Yoda, he seems to always be in the right place at the the right time with words of wisdom and questions that drive all the birds to new levels of understanding of the various styles. The book is very easy to read, short stories, with simple but powerful lessons in them all, that are very easy to relate with in the real world as well. In some ways the stories and characters seem a limit childish at times, but it never really takes away anything from the book, just because it is simple and easy to understand, which I can’t say DiSC is easy for people using its classical models of learning it. Rosenberg also summarizes every chapter with tips from that story and there are TONS of great couple line points to remind you of the various benefits of using and applying DiSC methodology to help you with your relationships, your career and life. All in all, its a good book with good lessons and I personally love the DiSC model so the content earns a 5 stars from me but the book overall is a solid 4. LearnThis has always been about discovering and learning new skills and helping others to do the same. Those skills can be learned in a variety of formats, where a blog normally consists of reading and writing, I’ve always been an advocate to practice skills, learn by doing and whenever possible, put those learned skills into action on a regular basis. I do exactly that by building things and fixing things that I can learn about myself. Home repairs, renovations, handyman. I’ve done a lot of carpentry, metal work and several times now, small solar energy projects. In this three part series, I’m going to outline 3 home solar projects I’ve done. Hopefully they serve as an example of how you can use a do it yourself (DIY) approach to learn a lot about a subject. The first solar experiments I did about 15 years ago with a small solar panel that I used to mount on my home’s roof to power a vent fan that would help to cool the attic, using air exchange anytime it was hot and sunny out. 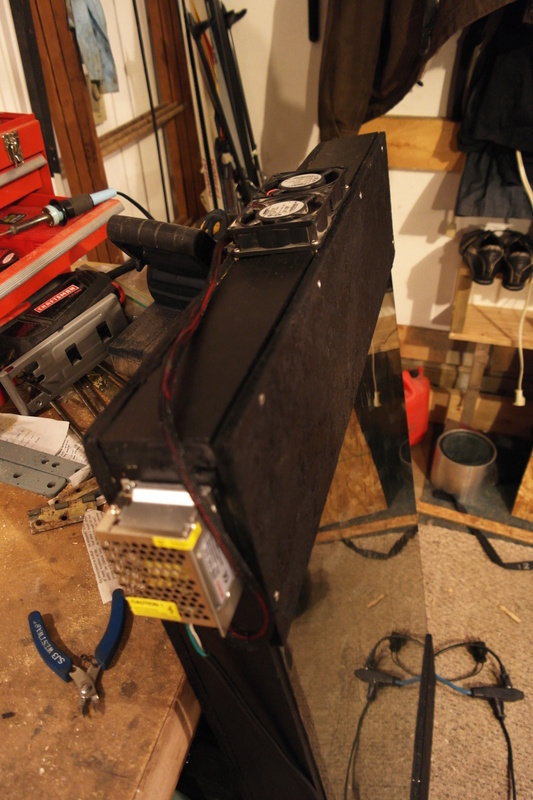 I used a 15W 12V panel, to drive a 12V high volume fan and wiring it up to an old mercury thermostat. The cool thing about an old mercury thermostat is that it works on gravity, so you can mount it upside down to reverse its operation. What normally activates the heating cycle if the temperature drops, upside down it behaves as a cooling unit, activating the cooling when it gets above a specific temperature instead. I quickly realized that my 15W panel was a LOT more power than the 5W fan was using for air exchange. I figured I could try to extend the use of this power with a battery pack. I did quite a bit of research and was a regular reading the magazine “Home Power” to find some ideas and sources of information. I looked at and purchased a simple circuit board kit that I could solder and build myself, since it was only about $20 to buy. The board was a charge controller, with low load protection and over voltage protection that I hooked up to a small 7AmpH 12V gel battery. The additional 10W took a few days to fully charge the battery, but then I was able to use that to operate several compact fluorescent lights in my basement laundry room. I used a small 175W inverter that was nearly zero no-load draw. I was able to drop the wiring down from the attic along side the house plumbing vent stack right to the basement so I could put the charge controller, battery and lighting in the basement for the roof mount solar panel. I ran it for quite a few years and it kept the attic at least 5-10 degrees cooler with the active cooling fan and the added light in the laundry room was great to operate for essentially free from the battery. Overall, it was a great experiment and fun to build, yet I never proceeded doing photo voltaic again, due to the high cost and low efficiency of the panels. I sold the panel and battery used when selling the house, to another solar experimenter to hook up and play with. I’ve always been interested in efficient energies from the sun. 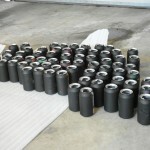 The most common is solar photo voltaic, however it continues to be a fairly costly solution. Capturing the sun’s energy with photo voltaic unfortunately has very poor efficiency. 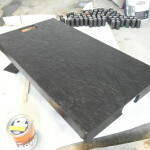 However, cost of panels has reduced rapidly so for DIY-ers, they have become much more affordable. Commercially installed PV systems are still very expensive still with around 20 year payback periods. One problem with PV panels is that their energy efficiency is only around 15% for most commercial panels. 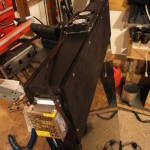 I looked into building a passive solar air heater for additional heating on our tack room / barn. It is heated by electric baseboard heaters to keep the room from freezing (and the cats warm) in the winter. 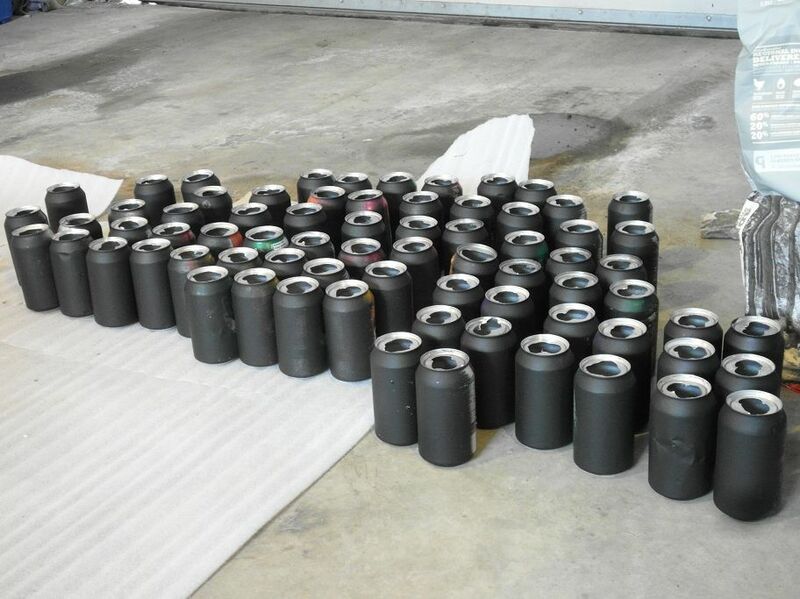 I found some examples of home built popcan solar air heaters on youtube so I decided to start with one of those. I picked up a bunch of free windows being given away on a local classified site, and so had a 2 foot by 3 foot glass panel to start a small heater from. 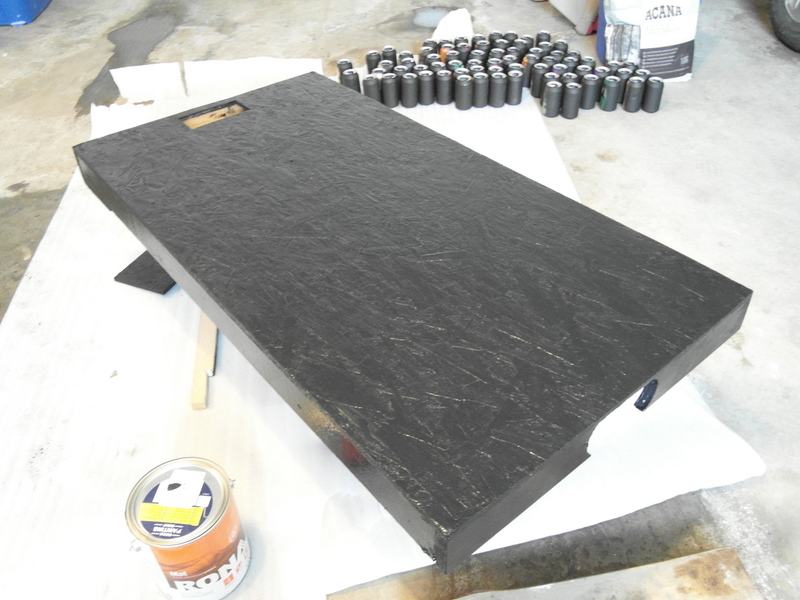 Next, I built a simple plywood box to house aluminum cans which when painted black, could collect the sun’s heat nicely and act as a heat exchanger. 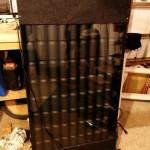 This DIY concept is very simple, cold air comes in the bottom of the box or panel, which has a glass front facing the sun, with black cans inside to absorb and radiate the heat into the air inside the panel. That hot air rises so can exit out a top vent to create continuous heat output. I built and tested this in the sun and while a passive design worked to raise the temperature of the air by over 30°C (86°F) continuously, the air flow was very low. I decided to add a couple of small 12V computer fans to blow the hot air out into the room where I needed the air. It worked great and I exhausted the hot air into the barn through a window which I built a sealed panel for with insulated air ducts to reach it. Mounted 12V power supply and fans on the exhaust port at the top. 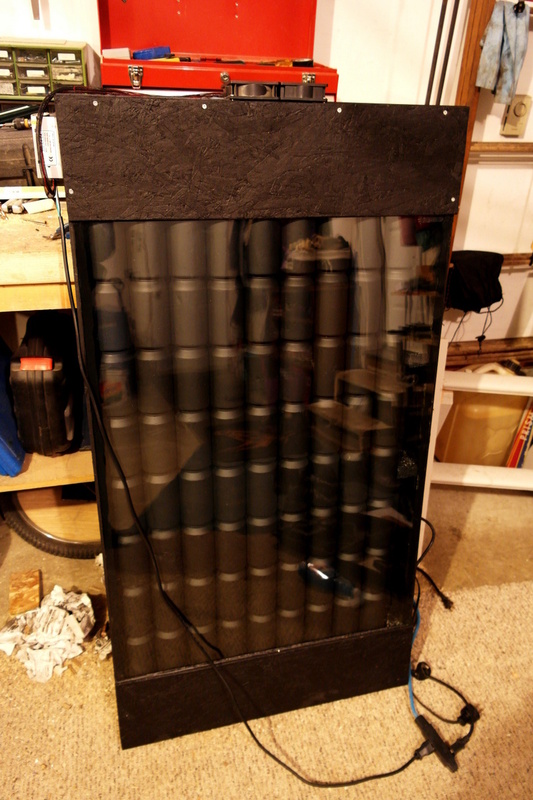 DIY heater – Cans installed with glass front finished. The heater’s fans were mounted in a series circuit with a $2 snap disc I found on ebay. These engage the circuit whenever the temperature was above 25°C (77°F). A cheap 12V power supply (also from ebay) ran the fans whenever there was heat in the box. I enclosed the end with tin to seal it all up from weather and to connect my air duct vents to the barn when it was actually installed. Overall, the heat was great on a small DIY device like this, considering I didn’t even insulate the box. Its surface area gets about 660W of sun radiant heat (about 1KW/m2). My estimate of efficiency after doing some math on the air flow and heat increase as well, was about 65% so this device was able to output a continuous 400W or so. Not bad, for a diy experiment that cost me about $20 to make since I had most of the parts already. Outputting 400W for 5 hrs a day, meant it produced about 2KW per full day of sun. Saving $0.18 per day of operation, it only needed 111 days of operation to pay off. I installed and had it operating for 4 yrs. This equals about 125 days per year of sun so it more than paid off and even saved me an extra $70 on electric heating for the barn. SWEET! Goals are very important for anyone that aspires to be a leader. When your goals are clearly defined it makes them much easier to achieve whether in life or career. Most times, when you are focused on achieving your goals, you are likely to influence others to do the same and they end up achieving theirs too. This should be quite rewarding if you enjoy helping others see their goals come to fruition. A true leader is humble and this is often seen even before a person begins to speak. Always carry yourself with a lot of humility which makes you open to anyone regardless of their position in life. When people perceive you as humble they are able to take direction from you in the office whenever you are working together, thus making you a leader. Work on achieving the end goal of any project regardless of the many channels that will be used in getting it done. Allow the team to work in a way that they are comfortable but always reminding them to keep focused on the end result. If the final result is satisfactory, then the process used to get there will not matter much. Say what you mean in a clear and concise manner. Many times, people appreciate getting all the information beforehand to help them get things done as they have been instructed. On the other hand, avoid getting upset when things don’t fall into place but rather communicate what should be done to get things back on track. Although you desire is to rise to the top, do not get there by stepping on others along the way. Whenever someone seeks your help for a task, ensure that the assistance offered brings value to them and the project that they are handling. If you are considered to be a reliable person by colleagues or group members, they are likely to support your projects as well. It is always hard to admit that we have failed in one way or another. In most cases, we shift the blame whenever we make a mistake instead of acknowledging it. As a potential leader, try and accept correction when an error is pointed out, even by a subordinate, and seek out ways to improve yourself in that area. 7. Talk less. Listen More. True leaders allow others to speak their mind at all times regardless of their position in the company. Listen intently and ask questions in areas where you may need some clarification. If you need ideas on the project that you are working on, then ask for suggestions but it does not mean you have to use them. You can then give your input at the end while acknowledging the information already presented by others. Taking risks even when they have no idea of the outcome is common for leaders that want to scale new heights and succeed in their profession. However, it is important to evaluate every situation before taking the risk as this will increase the chances of success and even if you fail, the damage will be minimal. Calculated risks always have a way of paying off in the long run if the lessons learnt are used well. Seek help whenever you start feeling overwhelmed by tasks so that you do not make mistakes you might regret. If possible, avoid being the one that has to fix every situation that goes wrong and let others offer solutions as well. Most times, the help offered will stop you from panicking and making the situation worse as you work to find the solution together. Don’t be afraid to ask for leadership tips from other leaders in your organization as well. Showing interest help you learn and get recognized. Nothing is accomplished alone and this should be your mantra when seeking a leadership position. Most tasks are achieved through group effort and it is only fair that every team member be acknowledged for the role they played in the success of a project. In most cases, this recognition makes other members feel appreciated and will most likely look forward to participating in other projects. Be firm and respectful whenever you have to disagree with another person and do not let them walk all over you. When addressing people in an uncomfortable situation, aim to speak slowly and clearly while explaining the reasons for your decisions. When you treat people with respect, they are likely to do the same during your interactions in and out of the office. You will always gain a lot of respect when you earn everything you have through hard work. Most people will consider you a leader because they have seen you put a lot of effort in your office work. Therefore, it is advisable to avoid looking like you are being favored by the boss, whether true or not. In general, leadership is not necessarily connected to a certain position but to the amount of influence you can have over other group members. When you have the power to direct them towards a certain direction without having to be the boss, then you are a true leader. This is the type of leadership that every employee should aspire for when working for their preferred organization. These leadership tips were submitted as a guest article, written by Aaron Ramsey of eapplicants.com. If you’d like to see more of his helpful tips and articles, you might want to check out his target interview tips here. You can find other resources for job seekers on his site as well. Lately, I’ve been doing a lot less blogging. I still enjoy it however, one thing I’ve shifted from is how much I actually learn from blogging now from what I used to learn from it. It seems looking back, that learning to blog, research topics, write content, market it, share it and discuss it with others had me learning as much about that whole process as the content itself I was writing about. That process of so many added things to learn kept me quite excited about blogging and with so much of that becoming regular work instead of something to learn each time I had something to write, I found new ways to learn about and explore that content, not always in a blog article. One way has been to put more of these ideas into practice and in life, to actually make ideas habits, instead of words. Habits are something that drive so much of what we do and anytime there is something to change, you should look at what habits you want to form and if there are any habits you already have to replace with those new habits. This is especially true because you cannot simply stop a habit, you always have to replace it with something new, and that makes habits very powerful for learning and change. This is something I get to see in my own goal setting, in helping others set goals and in coaching people to drive change. Habits are one of the first places I look and ideally, you find new habits to practice and make the old habits the triggers for those since they are always going to keep happening. Change is something I’ve always able to easily embrace and often an advocate for. It lets me explore and be creative with new ways of doing things and it keeps me motivated when I can explore a variety of things in life, include the tools and methods of how I do things (even old consistent things I’ve done for the a long time). Recently, the new ways I’ve been doing some of my old past times is in my physical activity and training. With back injury, I had to really step back from some of the intense physical training and activities I was doing for a while, but I have slowly progressed back to where I was and able to easily keep habits now that allow me to stay physically fit for these activities. Whether I’m back out on the mountain unicycle in the rockies, practicing parkour or rock climbing, I can be confident that my training regime now better supports these practices and the training I do is habitual. Bodyweight training with parallettes and gymnastic rings have become my new default training tools and they let me keep in shape for the physical activities I enjoy. So, these are some of my recent learning experiences, I have many more I could write about in coaching, leadership, rock climbing, additional bodyweight training and probably others, as it is a common way for me to learn new skills and I know I will continually looking for ways to make habits of new things, to explore and combine areas of learning and to tie things I want to learn to interests that keep me easily motivated. I hope you can find similar connections to things you have to learn and I’d love to hear about any ways or things you’ve been learning lately in comparison. Often a new challenge to face is a challenge specifically because that skill or activity has a steep learning curve. 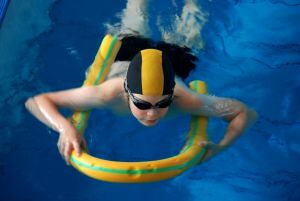 This can come about from a new job, hobby, sport or activity and in order to overcome the challenges, you have to first face that learning curve. LearnThis is all about methods of learning and personal development, which the learning curve is always a big part of. How do you face a steep learning curve when something new comes your way? Well, I hope this articles can outline some approaches to use and some methods to tackle such a learning curve. Attitude is one of the main roadblocks when facing a learning curve as there are very different reactions to this problem. Some people will have a tendency to to stay very open to new things, they will understand that they need or want to learn more and they are open minded and willing to accept that they don’t know how to do it. Yet. That is the key, yet. Other people will actually hide from admitting they don’t know something and they will avoid these areas instead of diving in with interest. These people tend to come across as egotistical or even arrogant since they are unwilling admit to others, let along themselves what they don’t know. It’s important to be ready and willing to admit what you don’t know so you are mentally prepared to learn new things and to even have a desire to. As you do learn a subject, the variation in responses can also change dramatically from person to person. 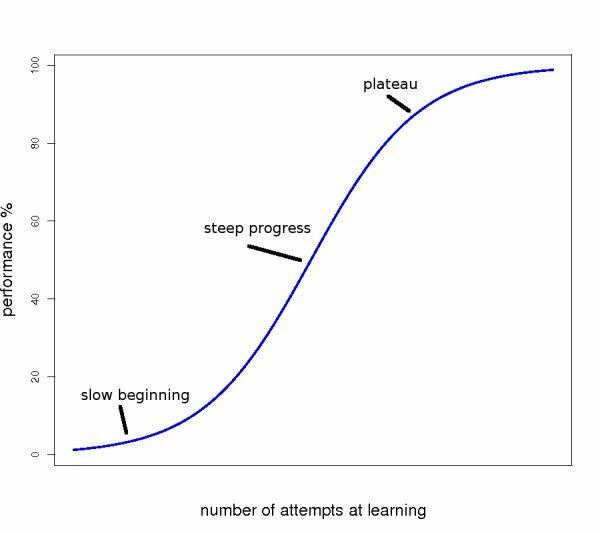 In order to beat the learning curve best, it’s better to assume you are still on the learning curve and to be open to learning more than to get to a point and decide that you know enough. Once you close off to continual learning, you will typically block yourself from expanding your views and it can be extremely limiting. Keep the approach to learn more and know there is always going to be a learning curve to advance on, even if you have already learned the basics or a lot of what you need. 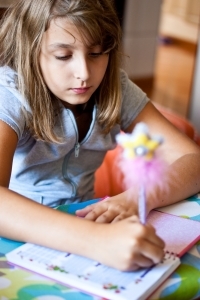 Learning without practice really isn’t going to do you much good. In order to truly remember things and know how to apply them, learning itself simply pools knowledge and its what you do with knowledge that let you make a difference. I recently wrote another article on Learning Habits and Applying Knowledge which emphasizes the importance of applying what you learn to really master it. This is done with practice and practice will train you to use your new found knowledge in useful situations. Don’t be afraid to make mistakes while learning, just do your best to recover from them and not repeat them. Everyone makes mistakes when learning new things and its one of the fastest ways to improve. What really matters when you’re learning is how you respond to mistakes and that you continue to learn, despite making them. Lastly, and likely the most important, is to never give up or stop learning. 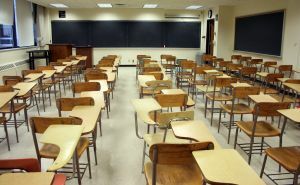 For a particular subject, this is obviously important and if you want to beat the learning curve, you might find it difficult and very challenging to overcome. With perseverance, practice and the right approach however, you will eventually overcome that learning curve and get confident and comfortable with the skill or activity you are working to learn. As you overcome a subject and feel comfortable, there is always more to learn and so while you might not seek out learning that subject more if you don’t feel you need it, you should always be ready and willing to learn more about it should the need or interest come back. This also applies for related subjects so you can expand what you’ve learned even further. 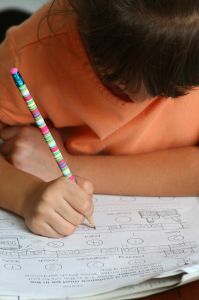 The whole process of learning and behaviors it takes to beat the learning curve can be used over and over for all kinds of subjects and skills. Don’t stop with one topic, don’t stop learning once you get the job of interest, or the degree you’ve been working towards. Keep learning, expand your skills and make learning something that comes naturally and constantly in your life, as you will have many more successes, enjoy a variety of experiences and have a lot more opportunities to develop and find things you are truly passionate about and can enjoy in life. 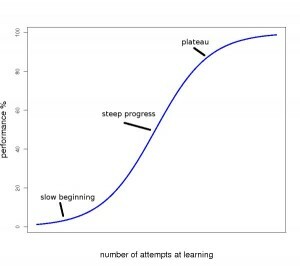 This is a big reason why I started LearnThis.ca and I know learning and having to beat the learning curve will be something I’ve always facing, as I don’t ever intend to be complacent and stop expanding and learning new things. I hope you don’t as well!